A guide to the best cup of joe in the nation. Coffee culture in America, in the post-World War II era, began with the dark stuff. The "water dressed down in brown," as singer Ani DiFranco once put it -- the nitty, gritty, put-the-hair-on-your-chest stuff that would hardly pass for a decent cup of coffee today. And forget the billions of combinations of milks, beans, and flavors you'll find today; back then, it was coffee, black, and no questions asked (Photo Credit: Nathan Cyphert). Coffee soon hit a decline through the '60s and '70s, thanks to the rise of America's other favorite caffeinated drink -- soda. But then came the second wave of coffee, when hanging out in coffee shops and drinking espresso became cool (basically, finally following in the footsteps of our European neighbors who had it right all along). But with the boom of coffee once again came the mass market appeal of coffee. Starbucks opened its doors in Pike Place Market in Seattle in 1971, when the coffee industry was still in decline. By 1984, Howard Schultz had tried the café experiment in downtown Seattle, with the first ever Starbucks Caffè Latte. By 1994, Starbucks had 425 stores; by 2004, Starbucks had 8,569 stores. The total number of Starbucks as of July 1, 2012 (according to the company's timeline)? 17,651. And that doesn't even include the number of coffee chains that took off in the same period: Dunkin' Donuts, Peet's, The Coffee Bean & Tea Leaf, Peaberry, Caribou, Seattle's Best (a subsidiary of Starbucks). But no chain exemplifies the mass market appeal of coffee more than the rise of Starbucks. Now, we're riding out the third wave of coffee that's followed the likes of craft beer and craft cocktails, and entering into the fourth wave. 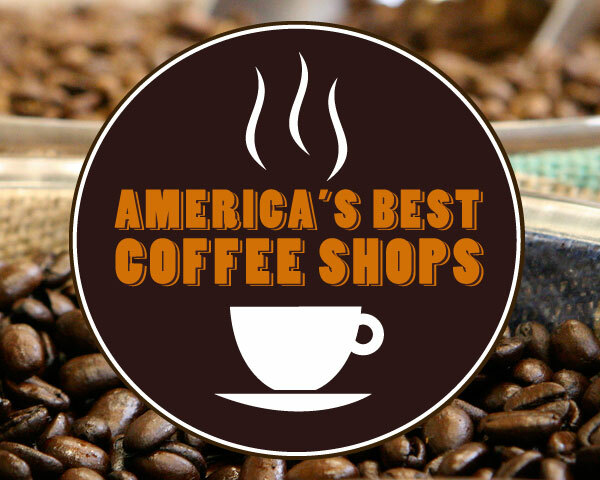 And with it, we find America's best coffee shops -- the places that dedicate themselves to the craft of coffee, from bean to cup. It's the farmers, the roasters, the buyers, and the baristas that have redefined coffee to be more than just a caffeine boost. For the coffee shops we've found, coffee is a way of life. Now more than ever, coffee shops are doing way more than serving better roasts or making your latte into latte art. They're building relationships with the growers, sourcing beans in ethical and sustainable means, making single-origin roasts to bring out unique flavors, and brewing with innovative techniques never seen before -- so your Mr. Coffee has long been put to bed. We scoured for the best independent coffee shops and chains that have changed the way we drink coffee. Our criteria? The best quality in coffee and food, atmosphere, customer service, and the "unique" factor. (Case in point: a DeLorean car in the back of one shop. You just can't top that.) We then asked our coffee experts -- coffee bloggers, roasters, shop owners, baristas, and educators -- to nominate the shops they loved. Our panel then voted on a list of nearly 150 coffee shops from coast to coast. In the end, we narrowed down our list to the most highly ranked (and most talked about) 33 shops and chains that are riding into the fourth wave of coffee and beyond. Some of the coffee shops you may know well; Stumptown, Intelligentsia, and Blue Bottle all made the cut for an overall quality that's hard to beat. And many of the shops on our list serve roasts from Stumptown and Intelligentsia, proving that they're the roasts to beat. (Another roaster we saw over and over again on our list? Counter Culture Coffee Co., based in Raleigh, N.C. While Counter Culture doesn't operate any storefronts and instead focuses on supplying shops and educating the public, it too is a winner in our eyes.) Some of the shops have added on roasteries for a true "farm-to-table" approach. And some of our shops operate under a multiroaster model, serving a selection of roasts from the big guys, like Stumptown, and the local providers.